Nutella lovers rejoice! 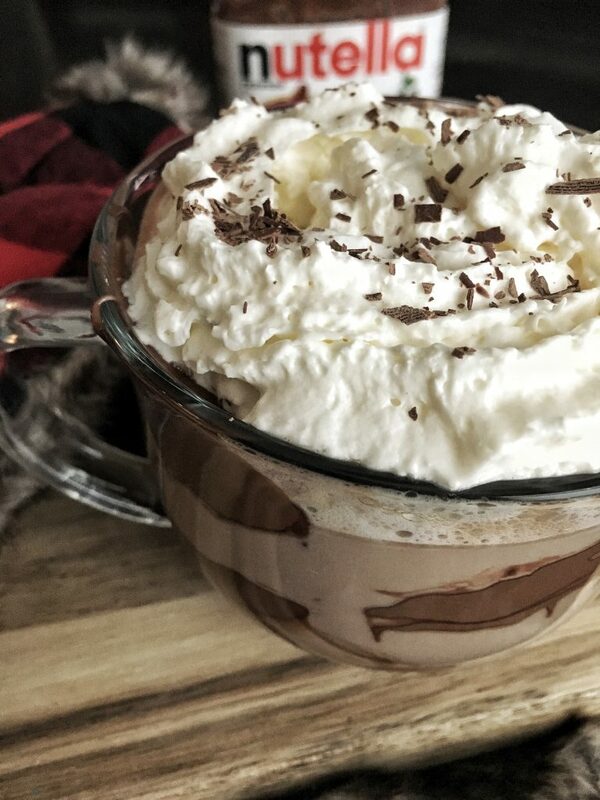 This Nutella latte is super easy to make at home. Cozy up with a cup and a good book and you have the perfect day. Snow in September. Living in Alberta, this is definitely nothing to be surprised about. Snow in the summer, chinooks in the winter – it’s what we deal with every year. But, with the beautiful hot weather we had this summer, I didn’t think the snow would come so soon. My love for Nutella is no secret. It’s delicious in brownies, ice cream, cookies….and lattes! This cozy drink is super easy to make. I love the idea of being a minimalist but that’s just not me. 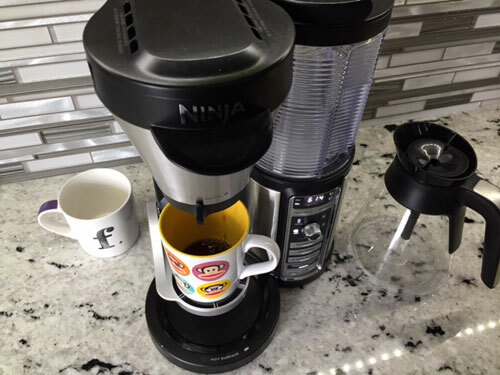 I do love a good appliance and all those kitchen gadgets, so I was excited when the folks at Ninja sent over a Ninja Coffee Bar for me to review. This machine has some great features! 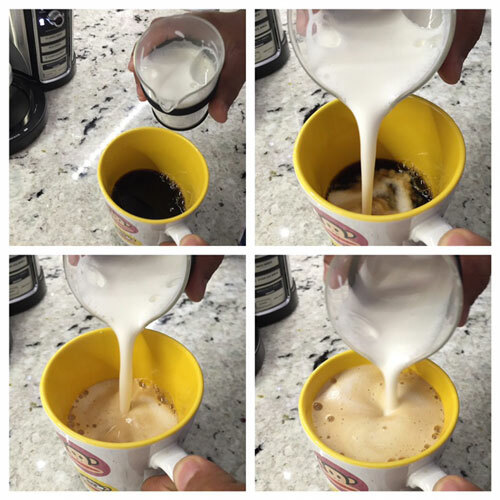 It allows you to do a Classic Brew, for when you just want a plain old cup of coffee. It also lets you do a Rich Brew and a Specialty Brew for a more concentrated brew to make those specialty coffees. My favourite feature is the Over Ice button. I usually prefer a cold drink over a hot one and this button allows you to have an intense iced coffee. It increases the concentration to compensate for the melting ice! 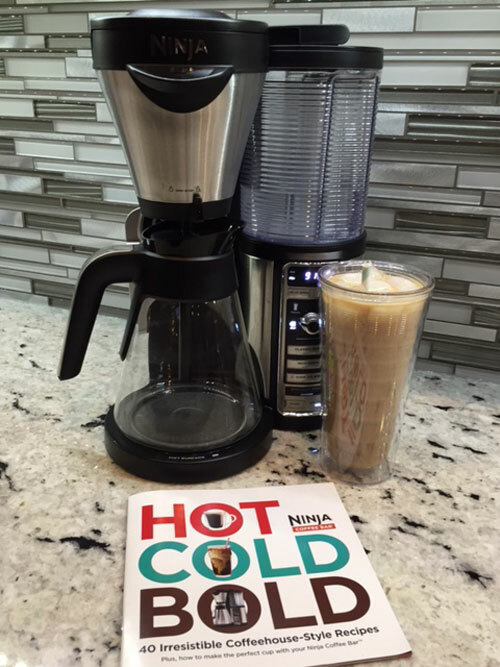 See below for a delicious recipe for Thai-Style Iced Coffee! 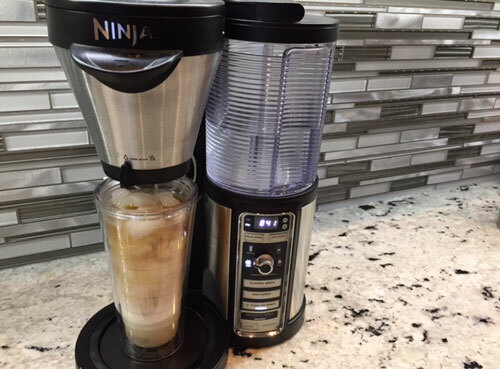 The Ninja Coffee Bar allows you to choose how much or how little coffee you want it to make. You can make a cup, travel size, a half carafe or a full carafe! This ability to choose how much you want sure does save a lot of wasted coffee but also allows you to serve a crowd. Other things worth mentioning are the drip stop, so you can enjoy a cup of coffee mid-brew; the programmable delay brew, so you can have your cup of joe waiting for you in the morning; and the clean cycle indicator, so you always know when it’s time to clean the machine. The machine also comes with the Ninja Easy Frother so that you can froth your milk to make those specialty drinks at home. Add your milk, microwave and pump! This was a fave for hubby. If you are a coffee-lover, this is definitely a machine that you will love! Don’t forget, coffee is great for desserts too. 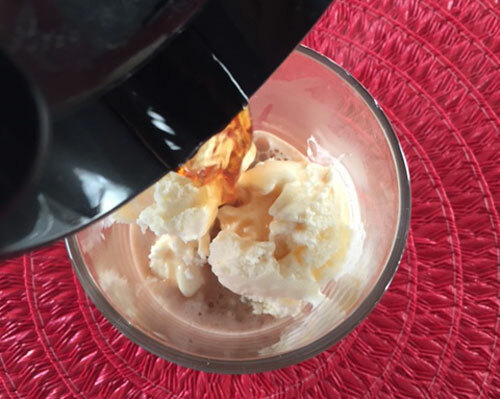 Just pour some over your favourite ice cream, and you’ve got yourself some affogato. Delish! This Thai-Style Iced Coffee is so good. Love that it’s icy cold and the addition of condensed milk is a total bonus. Following the measurement above, place the ground coffee into the brew basket. to combine. Add the ice to the cup; set cup in place to brew. Select the Cup size; press the Over Ice Brew button. When brew is complete, stir to combine. 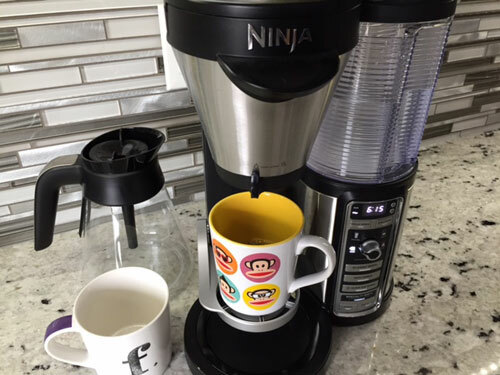 Disclaimer – Ninja provided the Ninja Coffee Bar for review. All opinions are my own.